For a traditionally elegant – yet understated look – solid surface walls and bases are an excellent choice. This product is sturdy. The wall panels are 3/8” thick and solid throughout. They’re easy to work with for the professional contractor or DIY’er. Lastly they’re completely grout free so you can chuck your scrub brush and harsh chemicals! 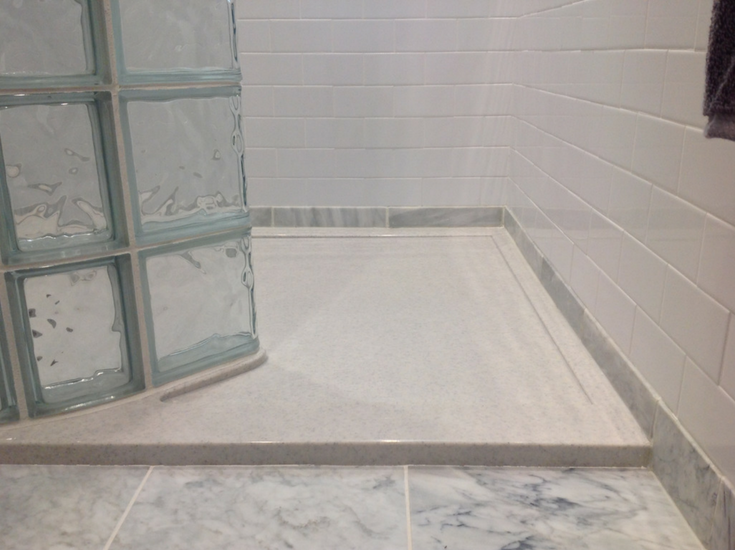 The cultured stone shower bases (while they’re heavy) are built like a tank. You can set them and forget them. 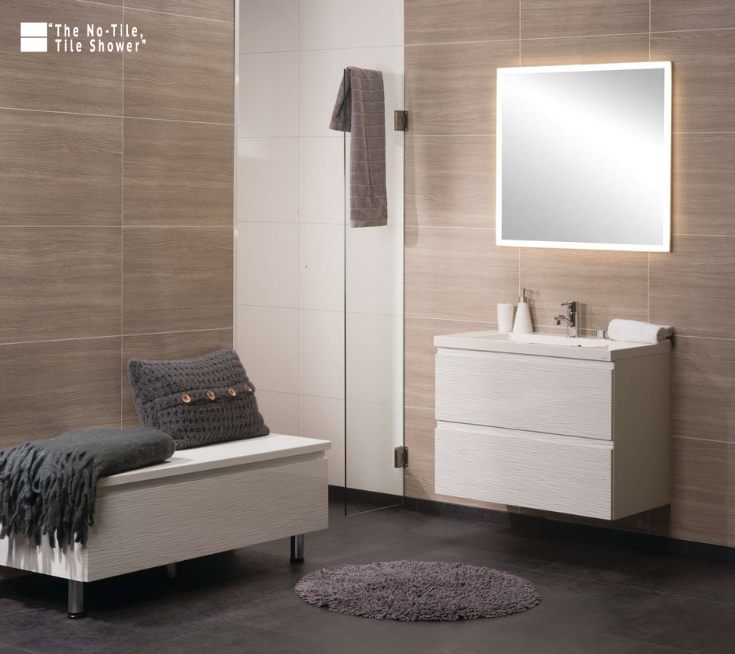 With over 60 color choices and multiple finishes (including high gloss, matte finish and even a faux tile look) you will find an option which will work with virtually any color scheme (with this product you can get also get a solid surface countertop to match). 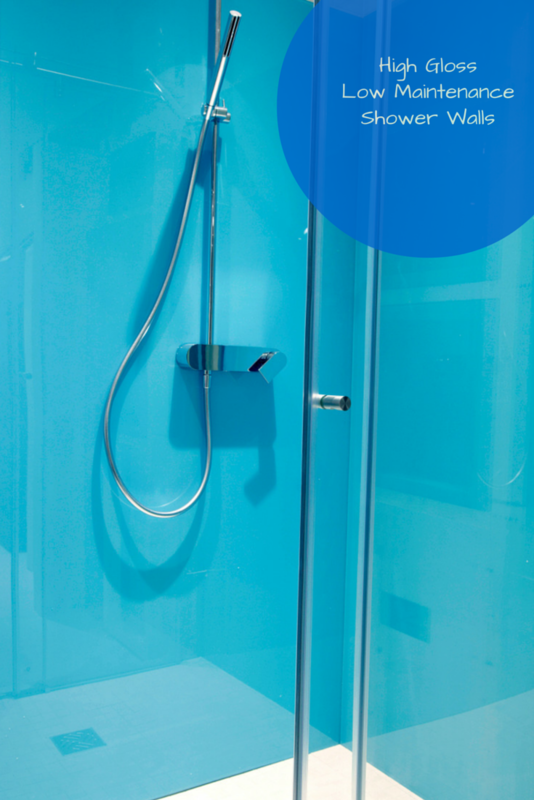 To complete the low maintenance high style theme a frameless or semi-frameless shower door can be coordinated with the walls and bases. Natural stone walls are beautiful but the cost and maintenance are priced out of the statosphere of most owners. A more cost effective way to go is to use decorative faux stone wall panels. These ¼” thick panels combine high technology digital printing, a waterproof PVC backing and 20 popular stone patterns. What’s also nice is they are simple to install. They’re so easy you can cut them with a carpenters knife. Using these wall panels with a uniquely shaped curved acrylic base and matching glass enclosure system will result in a custom look without a custom price (note – they are also easier to maintain than natural stone). If a contemporary design aesthetic is your buzz – but cleaning shower walls is not your favorite thing – then check out these laminated wall panels. They are made into 3/8” thick panels which are simple to set. They are available in 21 colors (including multiple design styles including high gloss contemporary, modern minimalist, modern farmhouse and transitionalist to name a few) and are a breeze to wipe down. 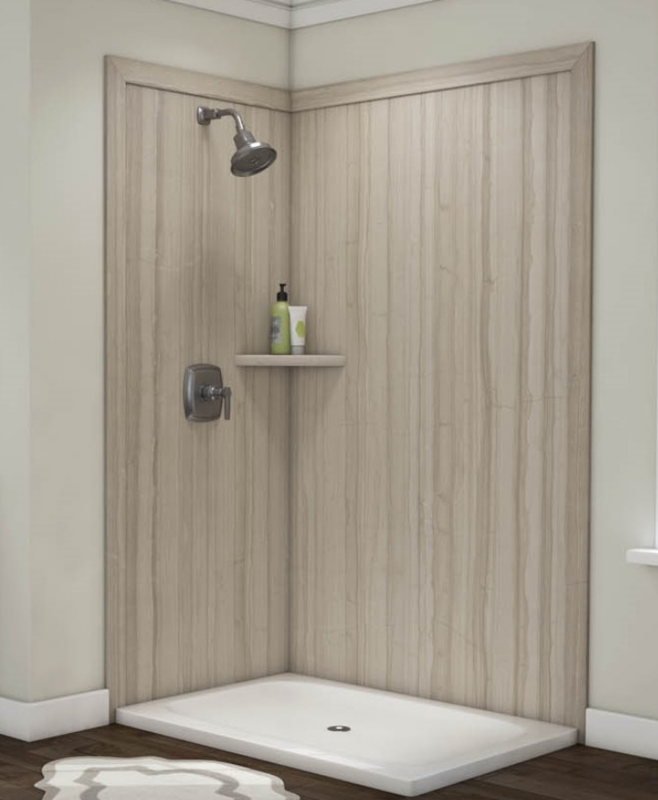 Combine these panels with an acrylic or solid surface base for a low maintenance shower. Which of these 3 ideas do you like the best? Please comment or call one of the numbers below to get design assistance, pricing or free samples of these products. 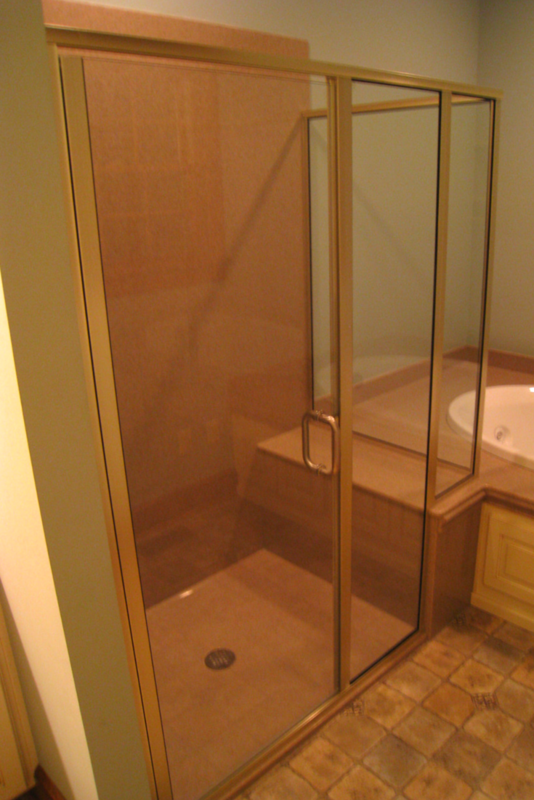 If you’re looking for more information or an estimate on remodeling a shower or nationwide material supply for the various wall panels and shower bases mentioned above call The Bath Doctor in Cleveland (216-531-6085), Columbus (614-252-7294) or for nationwide supply Innovate Building Solutions (877-668-5888).